Renault Twingo information: everything you need to know if you own it, are thinking of buying one or just want to find out more about Renault’s rear-engined runabout. Click on the links below for all of CAR magazine’s news, reviews, videos, scoops and spy photos of the Twingo city car. We list the top 10 stories for each model – and where appropriate you can click on ‘More’ to browse even more of our archive. Interestingly, Renault has taken a rear-engined, rear-drive route for its new Twingo, partly in the interests of interior space and a sixpence-sized turning circle, and partly because it’s twinned with the new Smart ForTwo and ForFour. It’s a five-door only (with hidden rear handles, Clio-style) and comes with a choice of two petrol engines: 0.9-litre turbo or naturally aspirated 1.0. 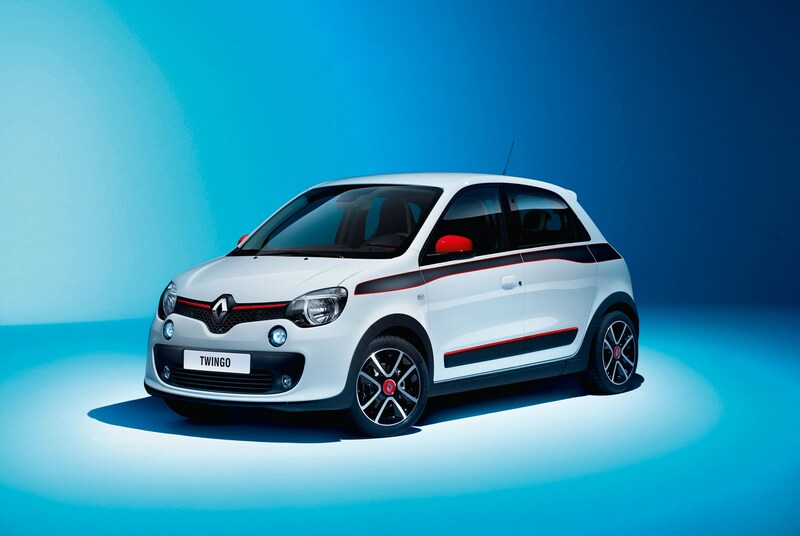 For more information on the Renault Twingo, click on our further stories on the links below. Hats off to Renault for giving us a bravely packaged city car that brings something different to the city car party. The end product isn’t quite a resounding success, though. It doesn’t offer a great advantage in terms of interior space, the boot is compromised and there’s no storage in the bit under the bonnet because it’s full of radiator. The turning circle is undeniably miniscule (the first time you drive a Twingo it’s difficult not to set off from a car park without a few gratuitous pirouettes, just because you can) but that’s slightly spoilt by the fact you need to turn the wheel so much. The slightest of corners requires armfuls of lock. Still, it looks cute, it’s cheaper than air to run and it’s admirably different. It’s not a poor car, but, sad to say, we’d take the sensible VW Up over the adventurous Twingo.